Not sure what this bird is called so I can tell you much. It came and stayed on the cable line for a long time, looking at me! The feeders were empty I think even though I just filled it in the morning. As cute as he is, he is a destroyer in my yard. He dug up all my new tulip bulbs and ate them when I came out to water the plants. He ran to the fence and stop to pose for the camera. Last weekend I met up with my sister's family in Sandusky, Ohio at Kalahari Water Resorts to celebrate my nephew's 10th birthday. While waiting for all the swimmers, I noticed a line of birds perching on the very top of the tree in the distance and thought they were just sparrows. 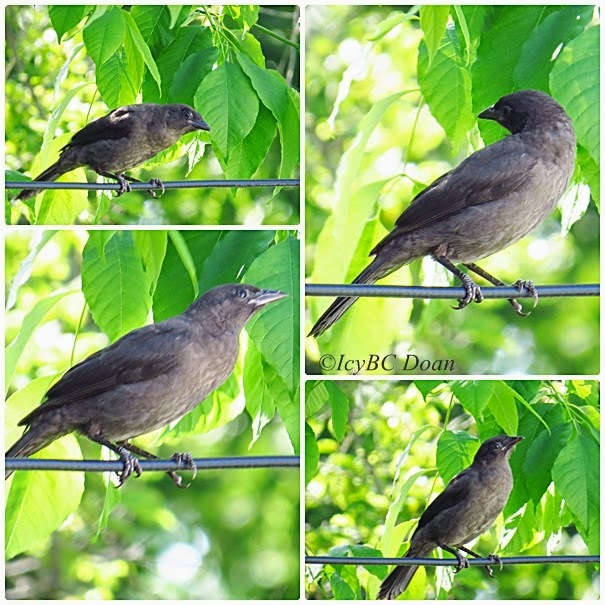 I believe this is a female starling, but if I am wrong; feel free to correct me. She separated herself from a rowdy bunch of other birds. She sat way up high in the tree doing her own thing. As you can see, she stood on a broken tree branch, and pecking at it too. At this time of year, starlings are very loud and gathered in every yard around here. Happy new week to you all.. 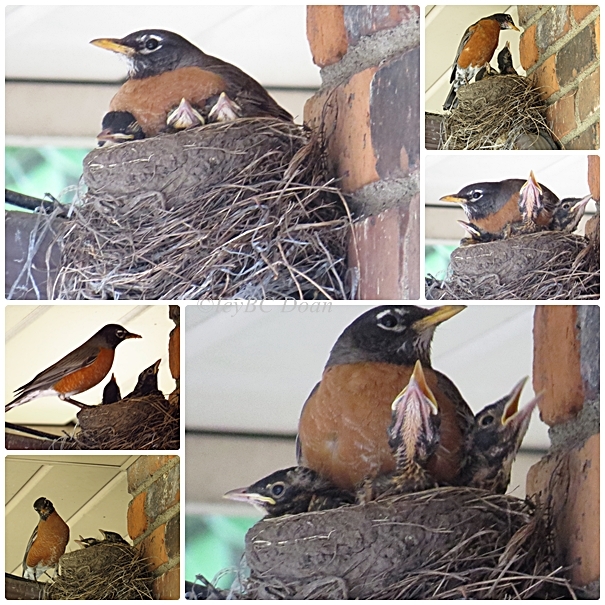 When I saw this on early Sunday morning, I knew that these baby robins were ready to leave the nest. 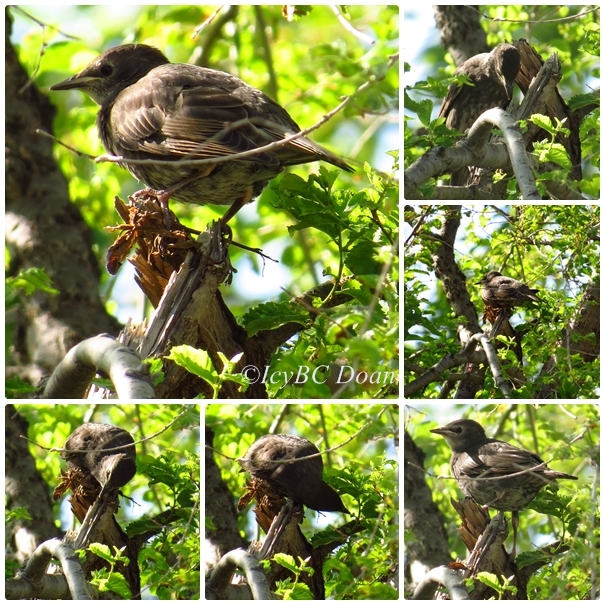 Besides, the nest has gotten too small for all three growing youngsters.